Another illustration for Book of Pages that never made it into the final story (drawn sometime around 1991). This one is “The Photographer in search of an Indefinite Article”. This earlier version doesn’t really work but I can see what I was trying to do. 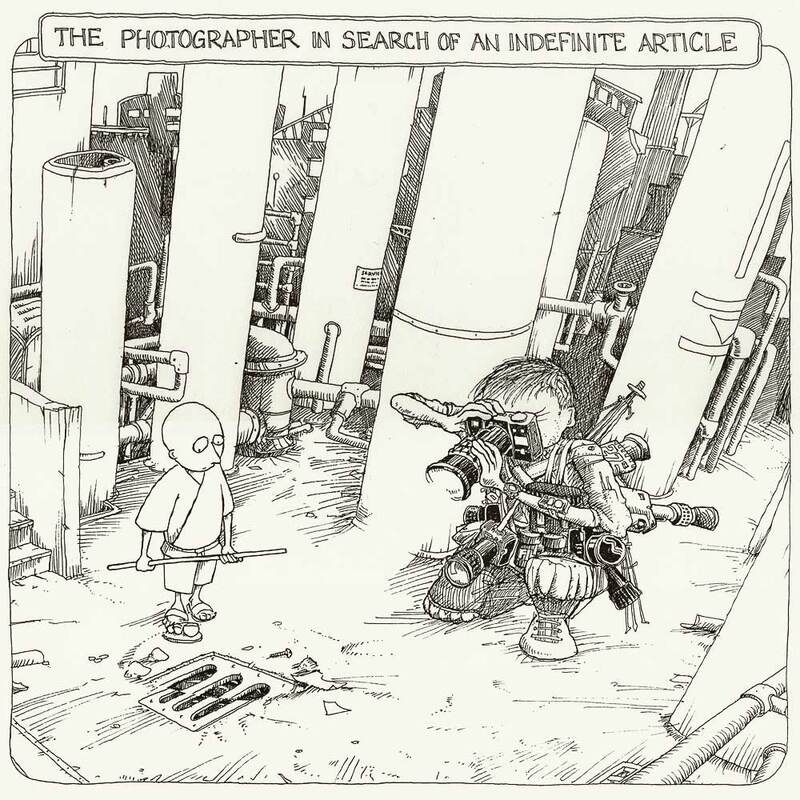 In the published version, Jiriki meets the photographer when he needs his ID photo taken, and not in an abstract collection of upright pipes.